Team Moppins wishes all of you the very merriest of Christmases and a happy and prosperous New Year! 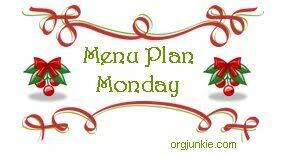 This is a part of Organizing Junkie's Menu Plan Monday. Love what you have planned for your week, and enjoyed reading your profile even more! Have a Merry Christmas. We would love your Crock Pot Chili. Thank you for sharing and Merry Christmas!